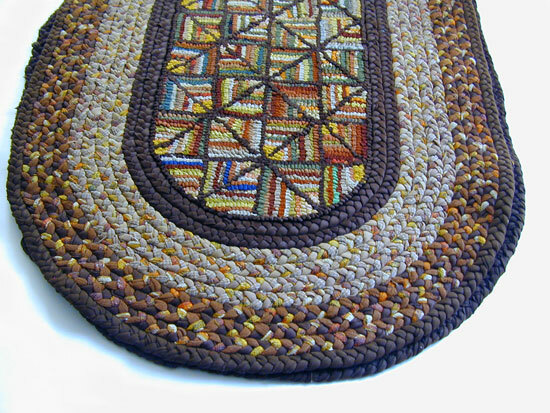 This most unusual rug has the combined features of a hooked center portion with a braided outer edge. 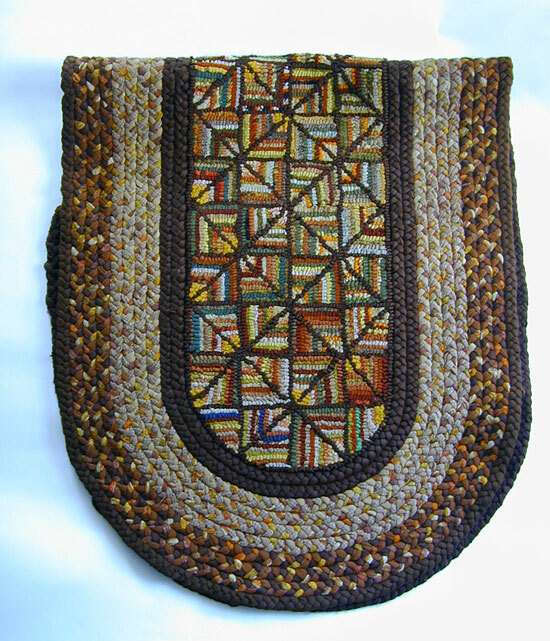 Hooked with rag and braided with wool. In fine condition showing some wear. Excellent color 66" long by 27" wide.